I’m very excited to share the 10th episode of the Woolful podcast. 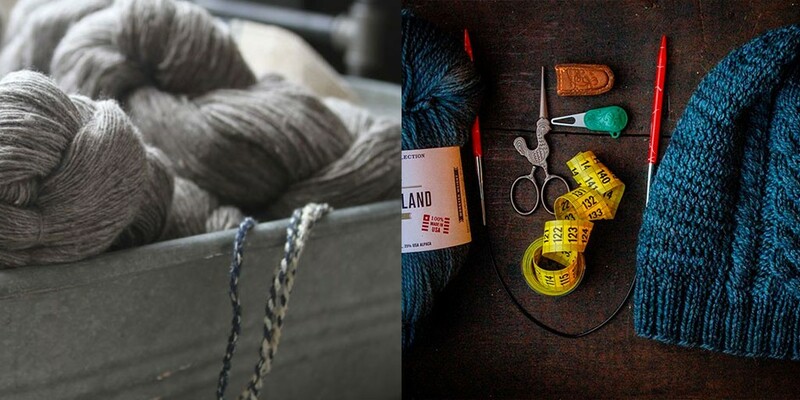 Today we get to meet two fiber folk who are such an inspiration and both in their own unique ways, Maryanne Moodie and Amy Higgins Stambaugh of Woolcrush. 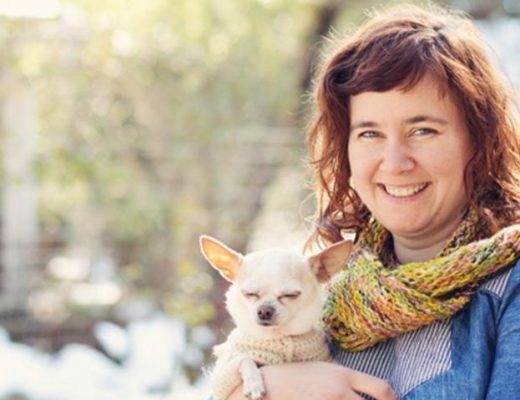 Fiber folk 1: Amy is an amazing natural dyer living on her farm in Columbia, Missouri, where she recently built a beautiful natural dye studio. You can find her at woolcrush.com and on Instagram @woolcrush. Man on the Street: Did fiber arts run in your family or did you just happen to “fall into” your fiber art?”. We had some amazing replies from Jennifer @jaykay_knits, Beatrice @threadandladle, Carlene @carlenergy, Emily @alafrench and Amber @dapperewe. 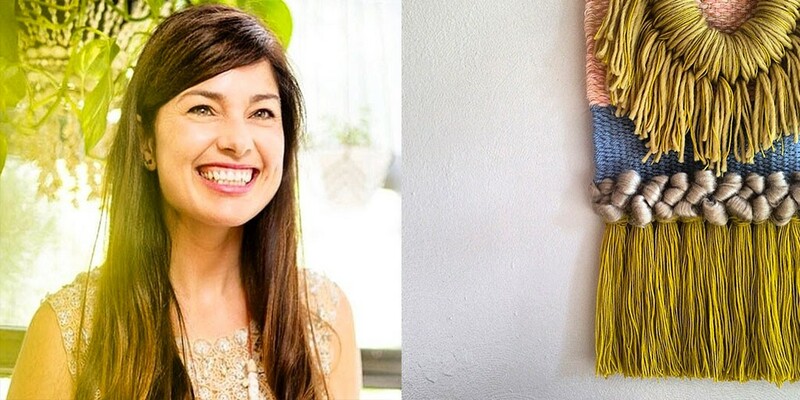 Fiber folk 2: I first came across our next guests work awhile back via the Design Sponge blog and was immediately enamored with her use of color in her weavings, adventurous designs and excitement around building community. Maryanne didn’t come from a legacy of weavers, but she’s working hard to leave one with this beautiful fiber community. You can find her at maryannemoodie.com and on Instagram @maryannemoodie. Giveaway: The winner of last week’s giveaway, is Tina Charlotte! You’ve won a $25 gift certificate to Fringe Supply Company. Congratulations! 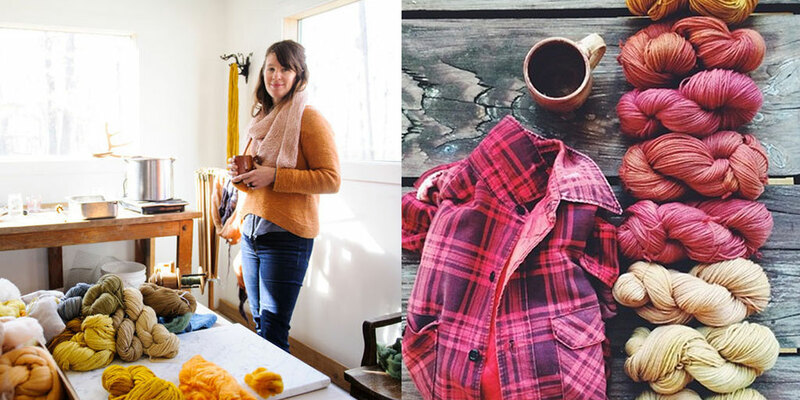 This week’s giveaway is sponsored by Southern Textiles, a wonderful farm and natural dye studio in Tennessee. 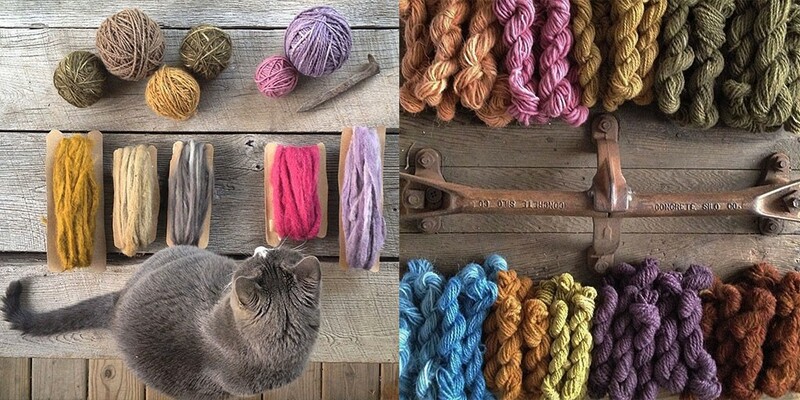 We’re giving away a naturally dyed mini skein kit, perfect for weaving, knitting or crochet. To enter this giveaway, leave a comment below. All those yarns you included in the post are so, so gorgeous! Excited to listen to this one on the way home today. Looks wonderful! Thank you for the chance! Thanks for all you do! Love it. lot’s of great links to check out along with listening – will look forward to this once again! I always look forward to your wonderful podcasts. They have increased the number of instagram people I follow! Thank you. Really enjoyed the podcast, especially listening to Amy and her adventures in natural dyeing .I was excited to hear about Michel Garcia and organic indigo vat, as I am French and took a workshop at the place he founded in the south of France. Sophie, so excellent you were able to take a workshop with Garcia! I’ve heard amazing stories about him and have been inspired by his work! I guess I missed him by a couple years at Shakerag Workshop, same place I met Catharine Ellis, last June. 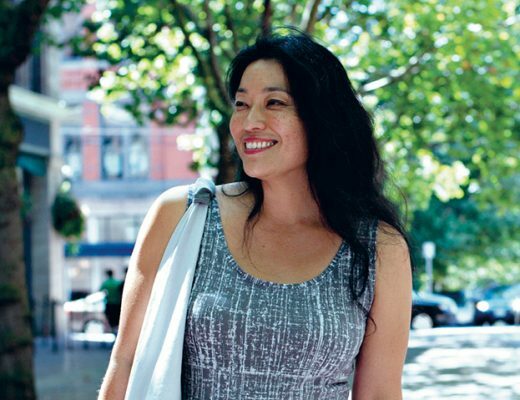 This year I will be heading back there and getting to work with Charlotte Kwon of Maiwa. It’s excellent that these individuals are passionate about teaching! I’m looking forward to this new podcast. I look forward to them every week! Your podcasts are always inspiring, I’m sure this will be no exception! Thank you! Every episode is really inspiring to me and also I find that I learn so much. Thank you so much. I’ve recently started stranded colour knitting, so this would be a fun prize for me! I really enjoyed listening Amy talking about indigo dyeing, as usual very interesting. Another great episode! I’m only halfway through but I’m really looking forward to listening to the rest. Finding this podcast has brought a much needed joy for making back into my life in the midst of a hard winter. I cannot thank you enough for the inspiration and can’t wait for your next episode! Woolful is so full if wonder AND wool. It makes me want to drop everything and be surrounded by wooly loveliness and teach my husband and daughter the wonders of wool and art and fiber and general goody goodness. Beautiful colored yarns! Great giveaway. Good luck to all! thank you for creating this space of creative goodness! Thank you for interviewing Amy! She totally lines up with my interests! So inspiring! first time listener- tu, it was great! Another great podcast! Thanks so much!! Oh, I can’t wait to listen to it! What intrigued me most in this episode was Maryanne sharing her perspective on community building, or as some might call it, a kind of networking. As a former teacher (for 20 years ) who likewise ran a small business at the same time, I was very interested in her progression into her next career and how that was influenced by her earlier work. Can’t wait to listen to this one tonight. Thanks again for what you do, Ashley! Wonderful podcast, thank you. Hearing the advice to not sell your early work was great. It made me realize how much pressure I am putting on myself to get everything right quickly rather than enjoying the process. Another great podcast, Ahley! I was so excited to learn you were going to interview Maryanne Moodie. Her work is what inspired me to start weaving and begin my own fiber journey. I loved listening to her story and advice, particularly about not selling your early work. It makes total sense. I had a major star struck moment a couple of weeks ago when she “liked” one of my weavings on her #weaveweird. Just one example of how affective her community building has become! Already looking forward to next Tuesday! Is there anything more delicious than mini skeins? Really, they’re like potato chips! Yum. Loved this podcast. It was interesting hearing MaryAnne’s perspective on starting something new. I loved how she approached it with ease. This episode was great! I loved getting to know more about Mary Anne and how she learned. Just wanted to say again how much I am enjoying these podcasts – thank you so much! So honored to be a “Man on the Street” this week! Natural dying and weaving – two things I am very eager to try. Needles crossed for those mini skeins! I love listening to your podcasts. They’re inspiring and thought provoking. Thank you! I have only just discovered your podcasts so have a lot of catching up to do. I spin as I listen and I really can’t think of a better way to spend my afternoon. Really interesting interviews! Thank you for these podcasts. First time listener and wow was I moved! 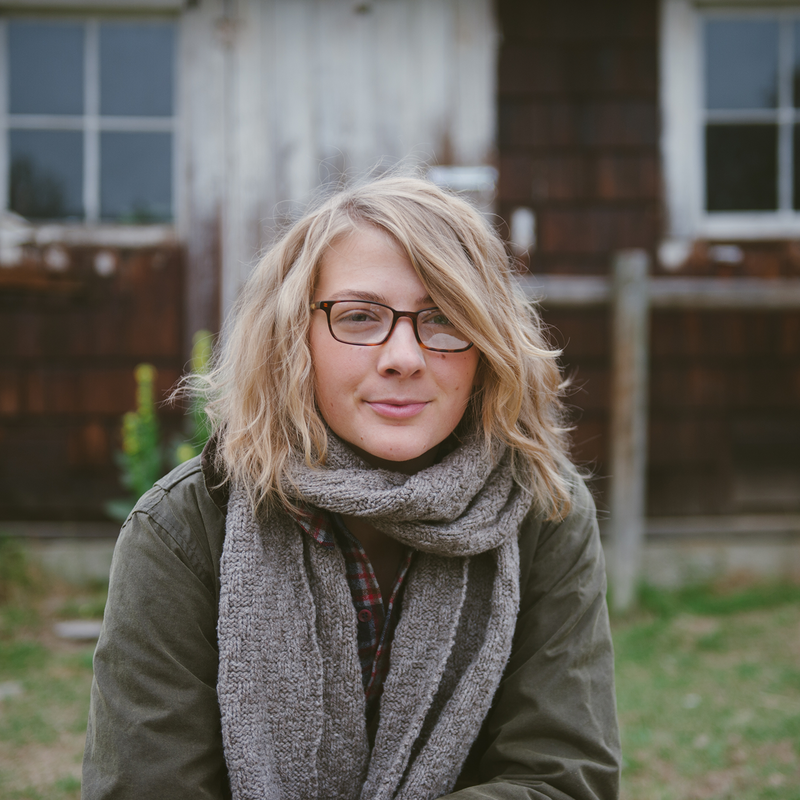 I loved the interview with Amy, especially the discussion about what success can mean and Amy’s connection with the plants and the animals that provide us with fiber and color… and of course all the talk about natural dyes (how do you keep an indigo vat alive? – must google that!). Thanks so much for your thoughtful interviews! all I can say over and over is “so much goodness”! I look forward to your podcasts each week. Lovely to hear such different journeys. Love listening to your podcasts while in the car. Makes the drive so much fun! Keep up the great work! Really appreciate your thoughtful podcasts. I love listening to your podcasts, and learning about all of these amazing crafters! Lovely giveaway! thanks for the podcast! Was recently introduced to Mary Anne’s work in a recent Uppercase magazine interview — so lovely to learn more about her practice. great show! nice to hear from makers that don’t come from a long line of fiber artists! Does the cat come with the kit? I’m sitting knitting in my rocking chair listening to this excellent podcast, and I think a cat would really complete the look! RYA KNOTS!!!!!!!!!!!! That’s the name!!! I am a textile designer and I just started my obsession with weaving, so much to learn and so inspiring as well. Maryanne is my hero! What a perfect episode again. Your podcast has literally changed my lookout on life. Thank you. Having discovered wilful only recently, I’ve been enjoying a podcast marathon in the last days/weeks. I love love love it! Thanks for sharing all these amazing stories. Looking forward to this week’s episode. I really enjoyed listening to both of the ladies. No I want to learn weaving! I was so excited to hear from a fellow fiber lover from my home state of Missouri! My new endeavor is learning how to natural dye fiber and I am finding all the information a bit overwhelming. This podcast had a great inspirational message to just go for what you love. Thank you! Great to find another fibre-based podcast. I already feel like a winner. I can’t wait to listen to this episode. (At the gym, of course, because yes, knitting and free weights DO mix!) I’ve just begun to explore weaving and naturally dyed wool, so this is a great combo. Thanks for putting together such great programming! I just discovered you site and podcast this week and I am so so so excited to start following it and seeing all the fiber community has to share. I am going to start from the beginning and listen to the podcasts! thanks so much for following your dreams! Those mini skeins are gorgeous! I would love to get my hands on some. Your giveaways are always so amazing. Looking forward to listening to this episode. I’m loving the podcasts and am so excited to continue listening and see how you grow! My only critique is to somehow ensure that the individuals you are interviewing have a quality microphone as some interviews have been too difficult to understand. I want to hear every bit of goodness! Thanks for another great podcast. I listen to each one at least twice – and learn something new each time! Great podcast! I especially enjoyed the discussion on natural dyeing. Love the mini skeins! Hope I win! Another amazing podcast episode! Please enter me in the drawing. Thanks! Thank you!!! thank you for all these wonderful podcasts. This one was extremely special for me, I’m a huge Maryanne Moody fan. I’m in love with her work and the way she teachs and helps everybody. I enjoy very much to listen to all this fabulous people. Could you please ask more about what sources or books can we use for weaving?? 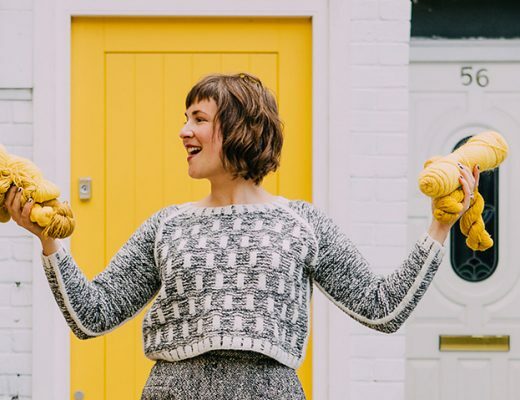 I found your podcast thanks to the Knitty blog and I love it. Thank you for putting this together. I love listening to this podcast! I just caught up and so excited to make it a weekly thing. I also love Southern Textiles! They are an inspiring company. Your yarn colors are beautiful. I would love to win. I would love to win the gorgeous yarn from Southern Textiles! I’ve never won anything before and this would be perfect for me! I’m so enjoying the podcast and I hope the best for your venture! 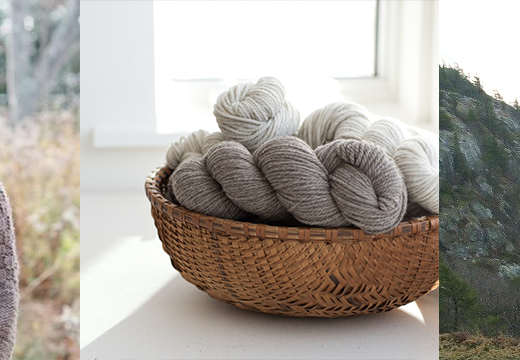 Would love to win these miniskeins… I’ve purchased undyed wool before but never naturally dyed wool. Always so inspired by these podcasts! Thanks for adding such life and community into the knitting world !! Inspiring as always! It really resonated with me when you and Amy were discussing wild aspirations and being a better person through making. Love it! Thank you for all of the hard work you put into these podcasts. They are amazing! You have such a great message…very inspiring! Thank you! Just this past year I began exploring all the possibilities of natural dyes and weaving, after my grandfather told me about a woven bag his mother made using naturally dyed wool from their sheep. They lived self sufficiently in mountains in western Bosnia and Herzegovina. The bag that she made before she married my great grandfather, nearly 100 years ago, is still alive and as if it was just made. I just found this podcast — what a wonderfully inspiring thing you are doing! Thank you!! Hi, this was my first listen. So interesting. Lovely to hear other makers talking about their process. Such a beautiful tone. Makes me want to run to the studio…right now! I really loved listening to this episode as I am starting to learn more about natural dyes and have picked up weaving again! Great episode! Love all about it. I love love love your podcast! I look forward to listening every week. Thank you. Thank you for such a great podcast. It is inspiring company on my long, dark commutes here in northern Maine. Seems there is crafting magic everywhere! Inspiring as always! I’m very encouraged to try something new after your guests this week. Marianne Moodie’s words on learning were very wise. I love how you have pulled together in a global way these amazing stories of individuals living extraordinary lives. Thank you for creating a space that is real and genuine. So grateful for these podcasts! I love learning something new and hearing these beautiful stories every week! Thank you! This episode was particularly inspiring for me! I love experimenting w. Dyeing w. Native plants, garden plants and fungi! Thanks! So inspiring as always! I love hearing more about natural dyeing. Thanks so much! I love the podcast and eagerly wait for the next episode each week. Thank you for sharing your passion for fibers and for inspiring me! It is so encouraging to see this fiber community sharing ideas so freely and coming together to spread their knowledge and passion. Each week I listen to the podcast it makes me feel more and more passionate about making fiber art! Thank you for all the love and effort that you put into your podcasts. You are very inspiring. I’m enjoying your podcasts. So many wonderful stories about what others are doing is really inspiring and makes me do some dreaming of my own. The mini skeins are beautiful and I look forward to discovering your podcasts! Episode 10 is the first podcast I have listened to and I love it! Thanks for making this exist. I can’t wait to hear the next one! In the “you learn something new every day” category, until I heard the interview with Amy Higgins Stambaugh I had absolutely NO IDEA that indigo dye could be kept “alive” in a vat. Fascinating. So glad I came across the giveaway notice on Instagram – very excited to explore Woolful and catch up on the podcasts! Really enjoyed hearing about Maryanne’s experience with weaving this week! Such beautiful yarn! Thank you for the chance to win! Lovely giveaway, podcast, guests, everything! Would love those little skeins for my weaving. What an awesome giveaway! I’d love to knit something amazing with those naturally dyed mini skeins! I wanted to let you know how much I enjoy your podcast and how special and unique it is within the fibery community. Thank you so much for bringing this weatlh of information and awareness, this love for wool to the world. Happy Knitting, and happy Sunday! So beautiful, what a wonderful discovery, this site. Love your passion it comes across in each episode. Love your guest interviews and love those amazing mini skeins! What an exelent giveaway! I always listen you on the bus on my way to work while knitting! I am loving this podcast! I’ve been knitting for years, but just now coming to realize what it means to love REAL fiber! Thanks for the guided tour of all of these wonderful folks! Wonderful interviews and stories. Thoughtful and inspirational. Am just knitting fingerless mitts with wool dyed with privet and logwood (not by me!) But am taking a class in natural dyeing in a couple of weeks, so found this edition very interesting. Thanks. Keep up the amazingly brilliant and soulfully inspiring work. You are helping our far reaching community feel cozy. Another inspiring episode. Thank you! another wonderful episode, with lots of new info on weaving! inspiring to listen to while I knit away. Wonderful! These are always such a treat and highlight to my week. Thank you! loved this episode! Such a special treat to listen to the pods=cast each week! I love your podcast! And your photos are always gorgeous. I love this pod cast so much! I’ve been knitting obsessively all weekend, and I attribute it to you and your thoughtful guests! Ahhh…another wonderful Sunday afternoon: listening to a new “woolful” while knitting with my husband (whom I taught to knit last year)…doesn’t get any better than that! Hardest part of our new Sunday tradition is having to wait so long from your email blast that the new podcast is up…knowing that it is there ready for a listen…but totally worth the wait! I thoroughly enjoyed the show (as usual) and listening to both guests. I was struck once again by a couple of comments in which there was a focus on the community of women makers and fiber artists. I totally get it, and am not unaware of the social and historical forces that account for the high proportion of women knitters, spinners,weavers, etc. But please don’t forget that lots of men knit, sew, dye, etc. I’m trying my best to be a part of the entire fiber and textile community — I’m so much more than a rare bird or a member of an interesting subgroup. Hopefully, men will be as welcome in the world of wool as women should be in all areas. Glad you chimed in with your comment above. I taught my husband to knit last year…one of the best things I have ever done! He has a high pressure/all consuming career and has come to appreciate the wool community for many of the same reasons that Ashley and her guests have touched on throughout the podcasts when discussing their personal journeys (craft/heritage/wool)…it has truly grounded him. He, too, thoroughly enjoys listening/learning thru the wonderful Woolful podcasts. Thanks, Leslie! I think it’s great that you and your husband can share your love of fiber! Your comment did not come across to me (at least) with any negativity what-so-ever! Very well written and (and sure others) took away from it exactly what you had intended! And you GUYS certainly DO have things to offer! Appreciated what you wrote…and I 2nd whole-heart-idly your comments of the message above. I have recently found your website and I got hooked on your podcasts and blog. Very informative and I already look forward to the next one! Thanks! I love each of the podcasts, truly. But your second guest on this week’s podcast really captured my attention. She was so candid about her rather spontaneous path to weaving and I loved that she was brave enough to acknowledge the sensual nature of making with your hands. Finally, I’m always eager to hear people’s take on copying. A teacher of mine at Squam had a mantra “there are no new ideas” to help us when we were getting stuck. That resonated with me. Ok, longest comment ever. Thanks for your good work, Ashley. First Woolful podcast I have listened to, so fun and inspiring. My aunt was a weaver and I was inspired by Marianne to connect with her and dive into her past love of weaving and fiber. I remember her sheep and her spinning. I even have two pieces of hers that I love. Listening to those two really inspiring ladies in two subjects completely different but as capturing from one to the other, while knitting , that was my little treat of the day! Thanks for sharing. You inspire everyday to follow my dreams, thank you! I’m in love with Maryanne Moodie’s work, what a wonderful discovery ! I think this may have been my favorite episode to date. I have really enjoyed hearing all the journeys in fiber and fascinating details of different elements of yarn, knitting, wool, spinning and dying, but these two ladies stood out to me. They shared vulnerabilities about learning and not knowing what they were doing at times, apart from letting their hands and passions guide their heads and hearts. Their stories both left me wth the feeling belief in my own abilities and that hard work and perseverance anything can happen. Thank you for another awesome podcast, each week I take away at least one little gem of an idea or inspiration to tuck away. Such JOY to have discovered your podcast! Beautifully conceived and executed. The music theme is the icing on the cake — thank you.